Beloved worldwide for their legendary box mods and sub-ohm tanks, Geekvape has finally announced their long-awaited pod kit, the Geekvape Frenzy AIO Pod Kit. Geekvape has designed a 950mAh integrated battery that can be fully charged in up to 45 minutes. Click the fire button twice to displace the battery levels, tri-colored LED lights indicating the current power. Designed to save you time and money, the Frenzy Vape Kit has a 2ml refillable pod and two different replaceable coils, available in 0.7ohm and 1.2ohm. Each bottom-fill pod is magnetic, which makes snapping pods into place easy and secure, the anti-leak technology keeping your battery dry from moisture. Geekvape has designed their flagship Frenzy Pod Kit to have replaceable coils as well as a replaceable pod, meaning you can save money by replacing your coils when they burn out, instead of both the pod and coil. Replace your pod when your vape juice profile starts to taste muddled or stale. An advanced AS Micro Chipset monitors your Geekvape NS coil, automatically adjusting the power mode to better suit your preferred coil. The AS Micro Chipset also allows for Precise Temperature control that prevents dry heat, prolonging the life of your coils. 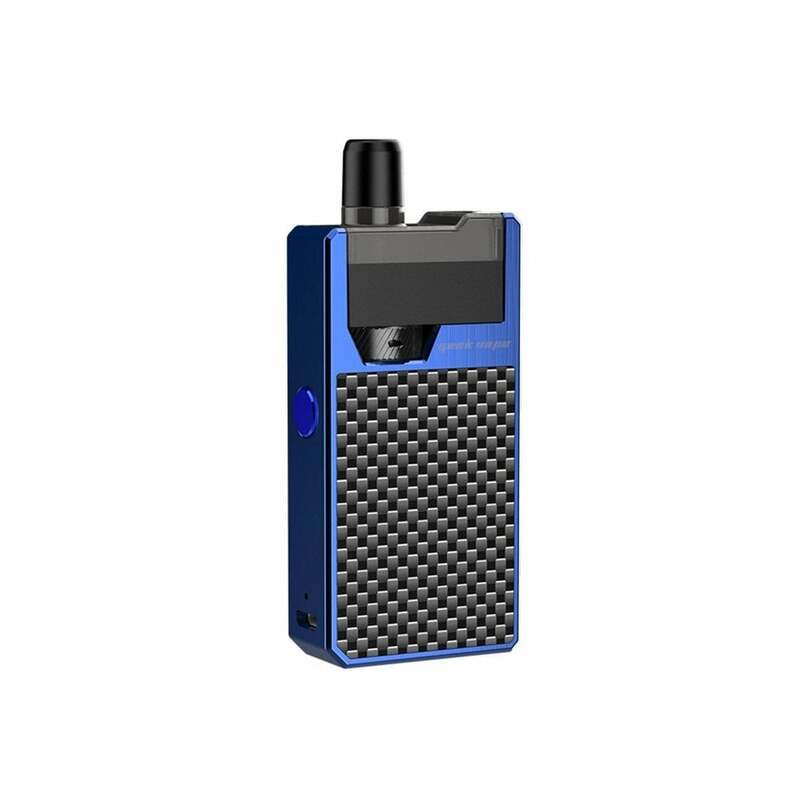 Small and portable, the Frenzy AIO Pod Kit is perfect for slipping in your pocket or purse and taking with you on your busy life, the 950mAh battery built to last. The Geekvape Frenzy AIO is available in 4 carbon fiber varieties and 4 resin varieties.